How are beautiful swirls of radio emission generated? 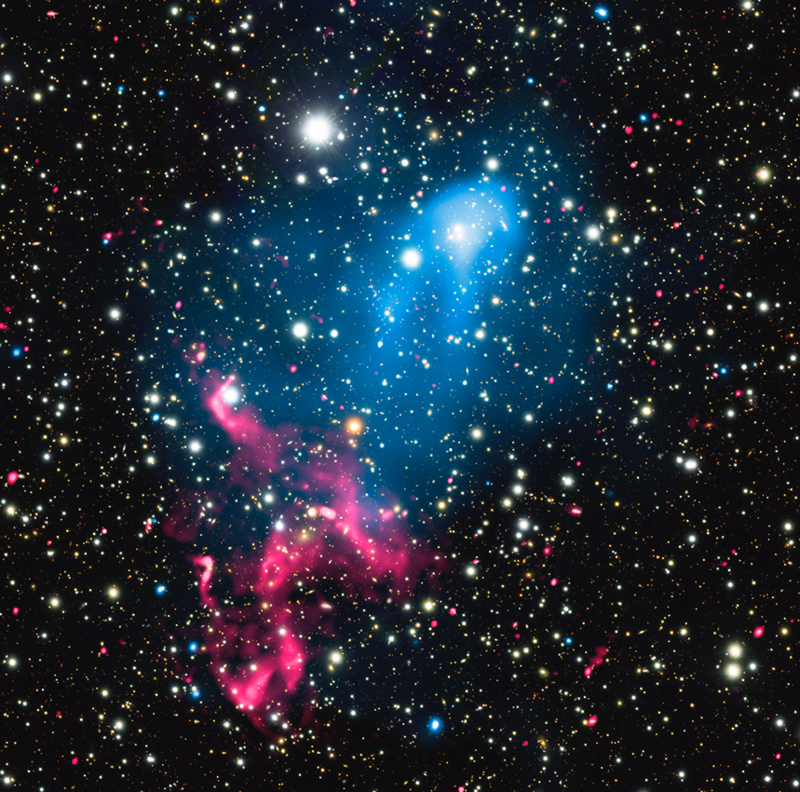 Astrophysicists combined data from the world’s biggest observatories to study what happens to matter that is swept up by the merger of two colliding galaxy clusters. 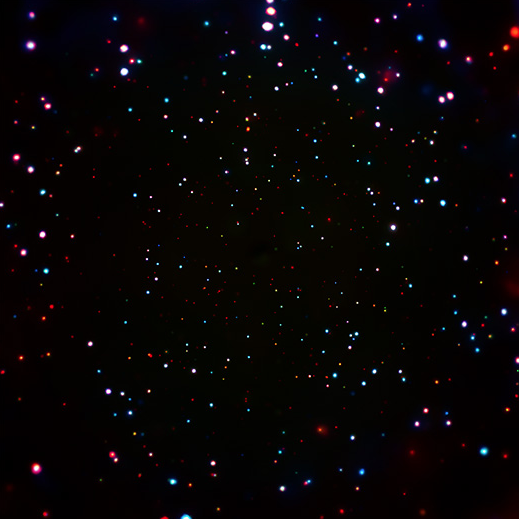 Astronomers used NASA’s Chandra X-ray Observatory to obtain the deepest X-ray image we have ever observed. It took 7Ms or equivalently eleven and a half weeks of observing time to construct this amazing picture.